Home loans guides, resources and tools. This is a powerful housing loan planner that allows you to calculate not just the normal fixed term loan but also to calculate Flexi Housing Loan. Among others, you can see how much interest you save or how much faster the repayment period when you make early repayment. For normal fixed term home loan, you just need to fill up the grey cells of E5 to E9 in the sheet. 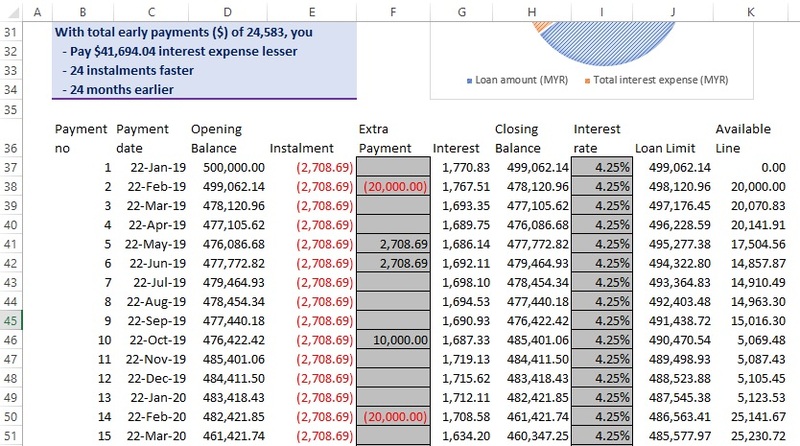 Enter the loan value in the grey cells. Flexi Home Loan allows you to pay more than your scheduled payments to reduce your loan balance and interest cost. You are allowed to withdraw this extra payments, as long as total withdrawal is within the loan limit, when you need money for something else. 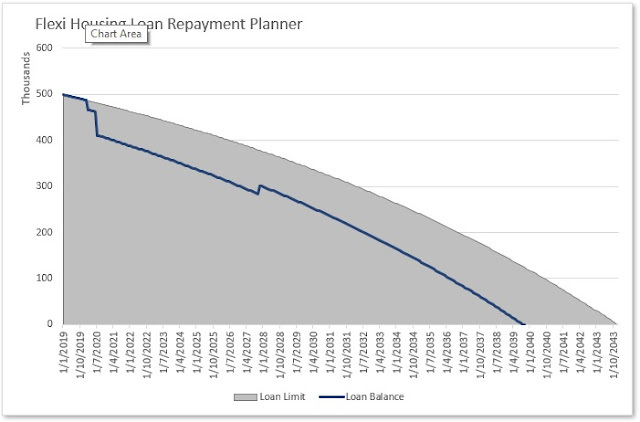 The graph (from the Housing Loan Planner) below illustrates just that. If you are using Flex Home Loan, you can pay extra to reduce loan balance (and save interest) and withdrew the extra amount when you need money for something else. This planner can help you to calculate. This planner helps you to calculate the total interest expense, number of instalments, total savings of interest expense due to early repayment, schedule payments, etc. For Flexi Home Loan, beside the above, you can enter your planned early repayment and subsequent withdrawals (if any). The transactions below are reflected in the table below under "Extra Payment" column. Look at the "Extra Payment" column. 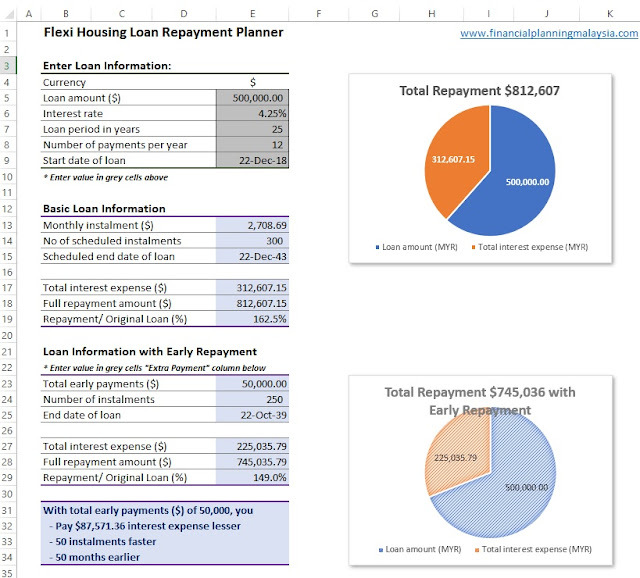 You can download the FPM Housing Loan Planner Excel file here. All about using home loan wisely.